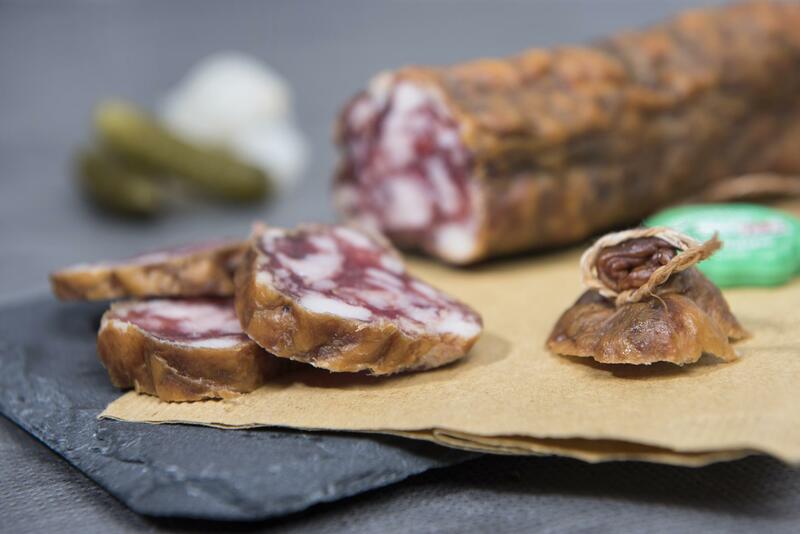 Dried sausages are ideal for picnics or aperitifs accompanied by Chasselas wine, the emblematic grape variety of the county of Vaud. This generally pork-based sausage is also available as beef or lamb variety. Is there a Vaudois aperitif without cheese and charcuterie? Gourmets and terroir product fans could not answer this question because these specialties are inseparable from a glass of good Chasselas. Dried sausages abound on the charcuterie shelves. Made from pork meat, the sausages are dried for several weeks and eaten raw. Tastefully seasoned, these meat products are delicious without any spices, but there are some pepper and herb varieties. Dry sausage is enjoyed on all good aperitif platters in Vaudois cafés. It is available throughout the year from village butchers, “Marché Paysan” producers, in supermarkets and, of course, in Terre Vaudoise shops.